Tropical Neurology: INTROPICON 2018 The second International Tropical and Geographical Neurology Conference (INTROPICON) was held in conjunction with the 28th Brazilian Congress of Neurology and the 15th Pan American Congress of Neurology Oct. 11-14, 2018, in Sao Paulo, Brazil. The congress was huge and was attended by more than 3,800 delegates from all over Latin America and across the world. World Stroke Day 2018: BEYINDER The Turkish Stroke Patient Society (BEYINDER), a member of the Stroke Alliance for Europe (SAFE), organized the first symposium for stroke survivors and their caregivers in Turkey on World Stroke Day 2018, acknowledging the importance of acute management in stroke, long-term commitment, and attention to the needs and rights of stroke patients for better outcomes. 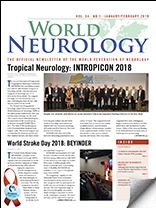 Welcome to the January/February 2019 issue of World Neurology, the official newsletter of the World Federation of Neurology (WFN). The second International Tropical and Geographical Neurology Conference (INTROPICON) was held in conjunction with the 28th Brazilian Congress of Neurology and the 15th Pan American Congress of Neurology Oct. 11-14, 2018, in Sao Paulo, Brazil. The congress was huge and was attended by more than 3,800 delegates from all over Latin America and across the world. 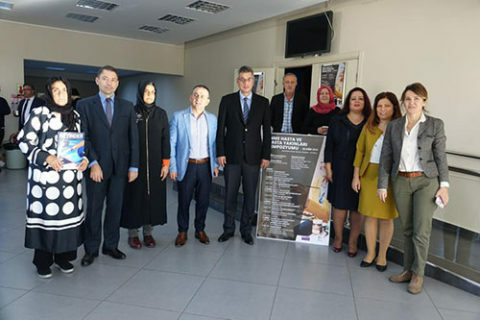 The Turkish Stroke Patient Society (BEYINDER), a member of the Stroke Alliance for Europe (SAFE), organized the first symposium for stroke survivors and their caregivers in Turkey on World Stroke Day 2018, acknowledging the importance of acute management in stroke, long-term commitment, and attention to the needs and rights of stroke patients for better outcomes. It is with deep sorrow and regret that we inform you about the demise of Professor Jagjit S. Chopra, the founder President of the Indian Academy of Neurology on Jan. 19, 2019. He was the driving force in the formation of the IAN and the person who guided it to maturity. 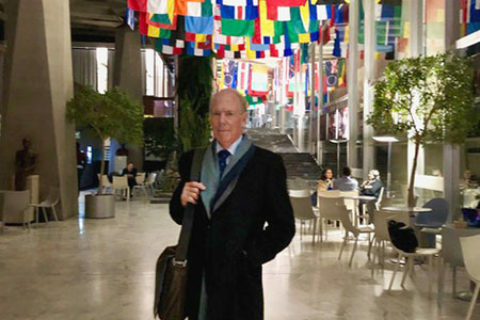 As I write this first column for 2019, the business of the World Federation of Neurology (WFN) is well under way. It is, however, the first anniversary of the new administration, and I will therefore present a dashboard, or update, of where we are at this point. I received a World Federation of Neurology Junior Traveling Fellowship to attend and present the oral presentation “Clinical and Imaging Profile of Takayasu Arteritis Presenting as Young Stroke Syndromes: A Neurological Perspective from South India” at the Top 10 Young Investigators forum at the World Stroke Congress 2018, which was conducted from Oct. 17-20 in Montreal. I would like to express my deep gratitude to the World Federation of Neurology for granting me a 2018 WFN Junior Traveling Fellowship to participate in the 46th Conference of the Francophone Society of Chronobiology Oct. 22-25, 2018. We had the participation of world experts who presented to us their different works and their experiences. On behalf of the World Federation of Neurology, the Nominating Committee invites nominations for the position of Elected Trustee for a three-year period, and for Treasurer for a four-year period.